Our Top 25 albums of 2017 countdown continues today with the albums we ranked 15 to 11 of those released this year. Feel free to tweet us your favourites and why you think our list is great / predictable / preposterous. 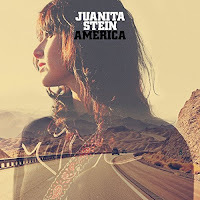 America is Juanita Stein's debut solo album whilst on hiatus from her band Howling Bells. In a change of direction from the band, America is a glorious nostalgic feeling album that's more embedded in country music than anything she's produced before. Vocally she hasn't sounded stronger, the likes of Florence and Dark Horse have such warmth and empathy flowing through every word, whilst lead single I'll Cry evokes memories of the likes of Patsy Cline and Dusty Springfield. 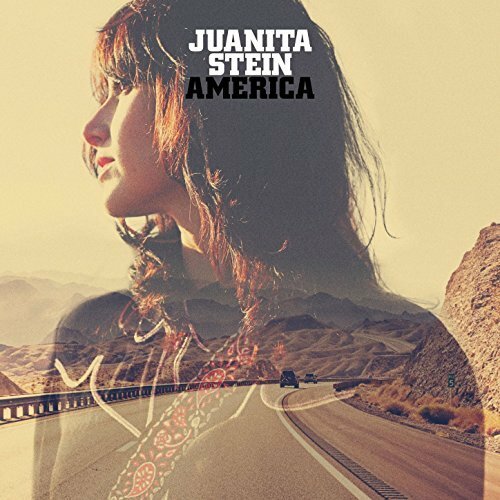 In our review of Juanita's Gullivers show in October where she performed most of the album live, we commented "she uses the voice as an instrument and as a means of allowing the listener to live the hidden layers of the songs through her intonation and style that grabs us. The likes of Stargazer, Someone Else's Dime and It's All Wrong straddle the gap between country and rock with a leg in both camps, but taking the best from both worlds to create something that's truly special"
Comebacks are not an easy thing for bands to manage. Fans want to relive their youth to the big hits that defined their teenage and university years and new material is often frowned upon to the extent that many bands don't bother. Shed Seven could have continued to follow that path with sell-out tours every two years, but took the brave pill and recorded Instant Pleasures, which has proved to be a success beyond expectations. Shed Seven have managed to create a record full of songs that wouldn't feel out of place on their four previous albums, but which have enough personality of their own to hold their own. The likes of It's Not Easy, Room In My House, Victoria and Star Crossed Lovers in particular stand out. 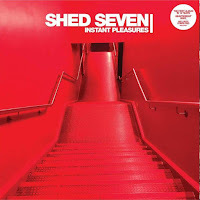 Our review concluded "Instant Pleasures might not convince the haters, win them thousands of followers, but it'll delight the Shed Seven fanbase. It stands tall against the more celebrated albums in their back catalogue. It's true to its heritage, but without simply copy and pasting it. It keeps the band's traditions alive and adds a few new favourites to the set lists." Shed Seven's official site can be found here and they are on Facebook and Twitter. None of the songs on the album last for longer than three and a half minutes, testament to Hater's intent to not hang around and let the listener get bored. Songs hit you with a sweet sugary coating and work their way into your heart and ears. There's no pretense, no doing anything for show anywhere on You Tried, just a glorious celebration of music made to express the creative thoughts of its makers. 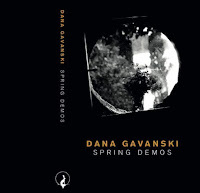 Actually billed as an EP, Dana Gavanski's Spring Demos contains seven tracks released on cassette and download by Fox Food Records, one of the most intriguing truly indie labels around that "specialises in handmade, limited edition releases of music we love." Set to only guitar, harp, bass and bass clarinet, the songs are intentionally stark in both their instrumentation and the revelations that Dana makes over the course of the songs. Whilst technically demos, the recording methods used are perfect for the mood and atmosphere of these haunting ethereal pieces of music. Our review concluded : "Spring Demos is an astonishing collection of songs that feel like sketches of their creator's deepest and darkest thoughts laid bare for all to see and hear. Adding production and fleshing the songs out would somehow distract from the impact that they have. It's far from an easy listen, but then the very best music often isn't. It will make some realise that their own thoughts are not so strange or uncommon, but hearing it put to music hopefully will help as a catharsis. It might not feel complete, but it's perfect just as it is." Dana Gavanski is on Facebook and Twitter. The EP can be purchased via Fox Foods Bandcamp page. 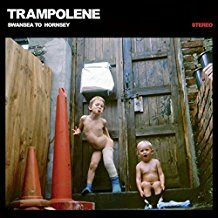 It's felt like an eternity waiting for Trampolene's debut album. 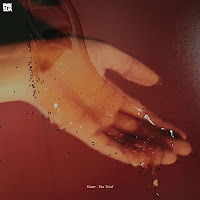 A series of EPs, a Japanese compilation album and a nagging doubt that the public might not take this fabulous Welsh trio to the heart in favour of something a little more predictable and dull meant it was something of a relief when the album was announced. 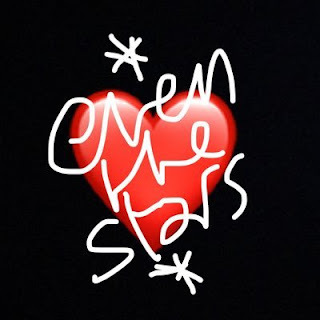 Like their previous work it's a heady mix of full on rock and roll songs, poignant heart-wrenching slower pieces and some of Jack's acutely observed social poetry that gels together when with lesser bands it would sound like a incoherent mess. Championed by The Libertines and having supported Liam Gallagher on his December arena tour, it feels like the world might be finally cottoning on. Our review concluded : "Swansea To Hornsey manages the neat, and often difficult, balancing act on the debut album of a band as prolific and diverse as Trampolene. All the strands of a band that's creative juices and subject matters run wide and deep are covered and then some more. It'd be impossible to capture the raw dynamic energy of their live shows and channel Jack's charismatic presence, but they come as close as you can to doing so. It's an impressive document of one of the most engaging and underappreciated (so far) bands around."